One death and 913 cases were recorded between January and April this year. Health and Medical Services Permanent Secretary, Phillip Davies, released the figures in Suva yesterday. “During the same time last year, 278 cases of dengue were notified to the ministry,” he said. Mr Davies said females dominated the 10-29 years age group. National Advisor Communicable Diseases, Dr Mike Kama, said more than 85 per cent of the 913 cases of dengue from 4646 laboratory tests were recorded in the Central and Western Divisions. “Mostly the outbreak is in the urban areas of the country,” Dr Kama said. “There is no cure for dengue fever but dengue can be treated at home with paracetamol, re-hydration and rest where full recovery may take three to 10 days. “Dengue with worrying symptoms needs hospital admission for secondary clinical care. “From January to date, 90 per cent of the total dengue cases were seen and treated at the outpatient clinics around the country whilst the remaining 10 per cent required hospital admission for treatment. “The symptoms of dengue fever include high fever, severe headache, and pain behind the eyes, muscles and joint pains, fatigue, vomiting and skin rash. He said dengue fever was a disease caused by a virus which was transmitted primarily by the Aedes aegypti and the Aedes albopictus mosquitoes in Fiji. “More worrying signs which may imply severe dengue fever can occur within the first 24 hours and include bleeding from gums, abdominal pain, persistent vomiting blood, and low blood pressure. “Mosquito control implies chemical spraying to knock down adult mosquitoes followed by source reduction which involves eliminating breeding grounds of mosquitoes through clean-up campaigns,” Dr Kama said. So far, the Health Ministry has recorded 389 cases of dengue in the Western Division, 400 in the Central/Eastern and 124 in the Northern Division. 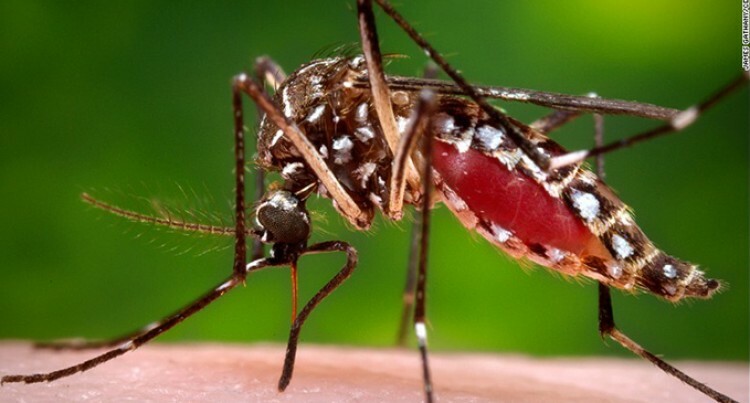 Dengue has also hit seven other Pacific islands, according to a news website, Outbreak News Today, quoting the the International Federation of Red Cross and Red Crescent Societies (IFRC). Solomon Islands – More than 10,000 suspected infections since a dengue outbreak was declared in October 2016. Vanuatu – Suspected dengue cases have risen to almost 2000 since November 2016, impacting five of the country’s six provinces. American Samoa – The Government has declared a public health emergency after 30 suspected and 13 confirmed dengue cases. It is the first time the country has had a case of dengue serotype 2 since 1972. New Caledonia – There have been 1163 dengue cases and three people have died from the disease. The virus has also been confirmed in Palau (51 cases), French Polynesia (29).